Scottscope: Scottscope Talk Radio 6/14/2014: Who You Gonna Call?! We’ll also be reviewing 22 Jump Street! Is it as funny as the original? Is it just another tired retread in the vein of Ghostbusters 2 and Another 48 hours? Does it manage to avoid the curse that befalls just about every comedy sequel ever made? Do the Jump Street films offer Ice Cube the perfect chance to subvert the persona he’s cultivated throughout his rap career? Is he the perfect parody of the proverbial “Angry Black Boss”? 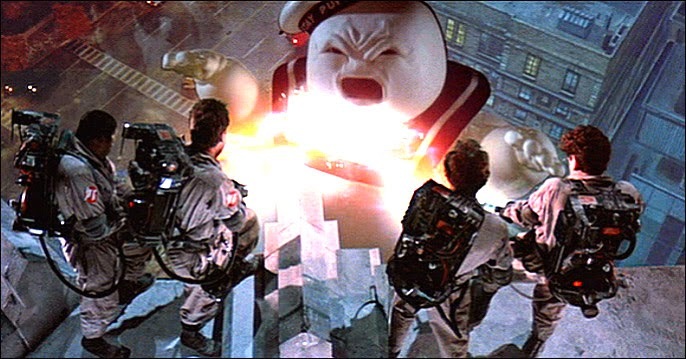 We’ll also be having a belated 30th anniversary celebration for Ghostbusters! Does it still hold up after all these years? Is it the most inspired and unique comedy of its era? Might it also be the most endearing? Can it be considered the single greatest achievement in the filmographies of all involved? Is its brand of humor more layered and subtle than even its biggest fans realize? Does it offer Bill Murray’s single best comedy performance? Would Eddie Murphy have been woefully miscast as Winston Zeddmore? Should a third Ghostbusters film even be made? Would such an endeavor be in poor taste now that Harold Ramis has passed on?